Re: Anniversary of Anastasia's birthday -- post tributes and memorial messages here! Happy Birthday Dearest Nastenka! Everyone knows what a wonderful person you are! Surely you'll be having a party up there! If not for you I would have never known your real beauty and of your family. You will always be remembered. 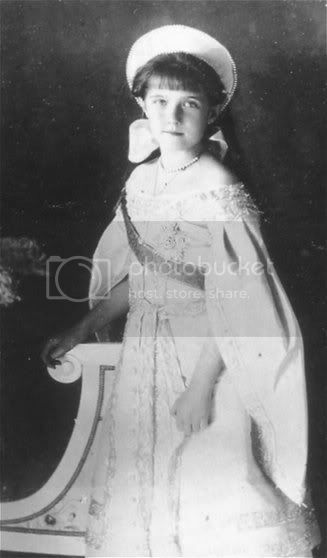 Anastasia, over a century has past since your birth. We live on such an autopilot--no matter what happens, our world picks up and trods along. People move on so quickly and forget, but we haven't forgotten you and won't ever. The sun has risen and set over 38,000 times since the day the Romanov family passed away. It's crazy to think about (well, easy enough for us, with calculators!) God has counted each day and remembered every moment, as He has always done and always will for us all. I wonder what you would think of the people you have inspired over the years. Of the endless support you and your sisters and brother have received, long after you closed your eyes for the last time. Would you be surprised? Honored? Would you smile? If you had the chance to talk to us, hope you would like us all, and know that we will never forget you or your family. Rest in peace and know that God blessed your life, however short it might have been. I love what you did there, Laura and Tessel! And all your messages are lovely!!! HAPPY BIRTHDAY ONCE AGAIN, MY NASTAS!!! Happy Birthay, Nastya! I know you suffered a lot, but death brought you peace and gave you the love of your family again. Today, you have lots of people remembering you. You must be happy of that, my dear. Your family and you, will never be forgotten. Happy Birthday, my dear little Imp! A spark lights her face. A new joke to play. Wait! I might be wrong (due to the overdose of work I'm having these days) but my calendar says we're May 31, so it's not her birthday, yet. (or this has something to do with the differences between the days in the russian calendar and my calendar? :-? No-o...This is not her birthay yet, but it is only few days far away...However, today is MY own birthay! I'm assuming we're celebrating Anastasia's Birthday a little bit early because we want to, and so some people who don't find this thread late give her a late birthday wish. That's just what I thought. I think we did the same for Tatiana's Birthday too. "Cameo like profile . 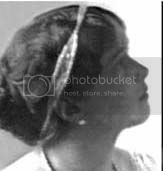 . . a lovely rose maiden and as pure as flower" - Lili Dehn on Tatiana.